The difference between elevation between two adjacent contours. 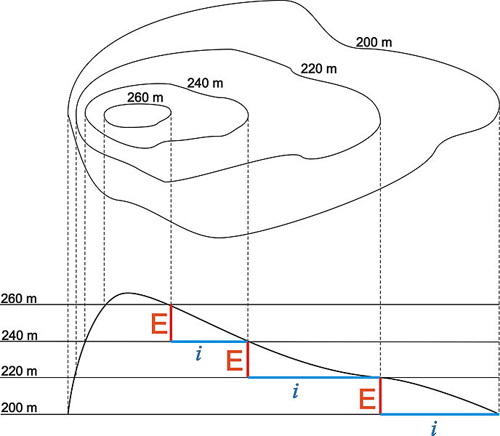 In the example below, the vertical elevation is 20 meters. Therefore, each contour represents a change of 20 meters in elevation as compared to its nearest neighboring contour. Contour lines corresponding to elevation points on a hill slope. 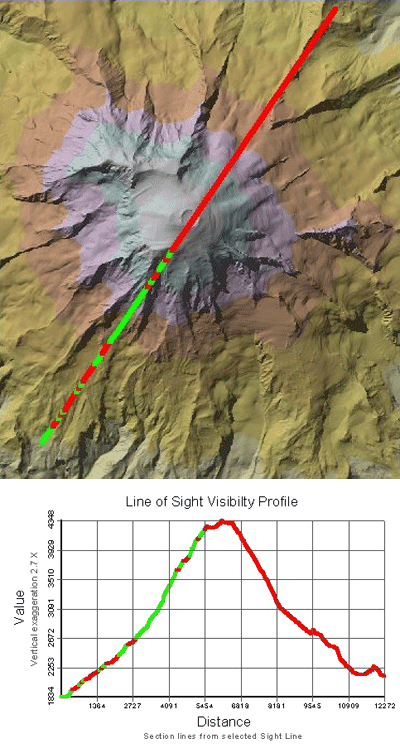 A line showing the visibility from one point to another as a result of line of sight analysis.